PlayAmo Casino – Battle of the Titans! Compete for the top spots! Compete for a share €3,000 + 10,000 Free Spins, every 5 days in August! PlayAmo is a known fan of the bursting excitement that comes along with lucky gambling and healthy competition. Hence, everyone is invited to take part in their August slot marathon called Battle of Titans. 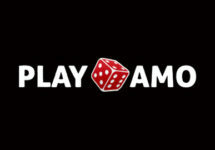 The race is open to all PlayAmo players, no restrictions whatsoever. All slots participate, and each bet of minimum €0.10 made during the time of the race will count towards the leader board. Compete against your fellow spinners and race into the TOP200 for prizes of up to €500 and Free Spins. 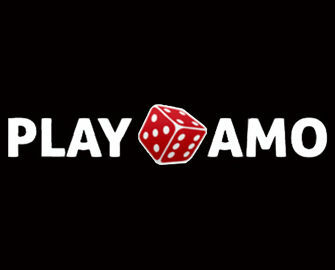 Not yet an account at PlayAmo? Then sign-up now to enjoy their generous Welcome Package with 100% and 50% bonuses for deposits one and two. Lean back, relax, put your sunshades and take part in the month long race promotion at PlayAmo running throughout August 2017 with the competition divided into 5-day races, each with a prize pool of €3,000 + 10,000 Free Spins. Race prizes and Free Spins winnings have a 3x wagering requirement, subject to the PlayAmo Casino bonus terms and conditions. All Free Spins will be on The Angler slot from Betsoft. Collect 1 point for every €1 wagered on any slot. All bets over €0.1 are counted towards the race tally. Wagering on table games and live dealer games does not count towards the race results. Every 5 days the TOP50 spinners will receive prizes between €15 – €500. 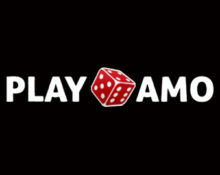 Players from 51st to 200th place will receive 120 – 20 Free Spins on The Angler slot. Leader board is reset to zero after each 5-day period, hence players can win prizes in each of the August races. Launched in 2016, the casino is operated on the SoftSwiss platform by Direx N.V. under a Curacao license. They offer a great range of games on desktop, mobile and tablet from Netent, Amatic, Betsoft, Endorphina, Habanero, iSoftBet, Mr. Slotty and Softswiss while their LIVE Casino tables are from Ezugi. A good range of currencies including Bitcoin and payment methods such as Cubits/Bitcoin, Visa, MasterCard, Maestro, Instant Banking, Neteller, Skrill, Paysafe Card, Zimpler, Bank Transfer ensure fast and secure deposits and withdrawals. The website is available in English, German, Norwegian, Russian, Swedish languages and support is provided 24/7 via Email, Onsite Messaging and Live Chat.